Do you dread paying out thousands to update your computers and software? You don’t have to wait until the last moment to update your computers or phones. Why add more stress to your business by waiting until everything you own is in need of replacement? Not only will it cost thousands of dollars in units, it will also cost you Tech Services, loss of time during migration, and loss of productivity as you learn a new system. Because of the cost involved, it is important for you to BE PREPARED! Here are some tips on how to create a technology budget to minimize monetary loss. You need a Technology Budget. Before we begin talking numbers, I want you to understand the lifespan of technology. As you well know, technology moves very quickly. The next innovation is born tomorrow and implemented within a few years. The average desktop computer last 3-5 years. That might seem like a long time but, in the tech world, that is a lifetime. A computer’s hard drive will start to wear down right around that time frame. That is usually a good sign that it is time to replace. By the time 5 years pass your Operating System software is very old by software standards. Throw in overheating (happens around 2 years), malware, and never turning off your computer; and you have yourself a costly problem when it breaks. Mobile devices have a shorter lifespan. The Micronization and the use/abuse of the hardware, as well as, how fast the software OS updates; determines that short span. Android is always switching OS types with the new hardware in the market. This creates a problem for your apps. If you wait 3 or 4 years to update, your apps may not work because of its update is for the new OS. Simply, Software A needs to be updated for the new Android OS coming out but your OS is 2 generations behind, so it breaks. I am very rough on my phone and I can guess that you are, too. Throw in overheating, malware (you too apple users), and never turning off your phone; you have yourself a costly problem when it breaks. Now that your understand that your hardware lifespan is 3-5 years, let’s talk about your pocketbook. Most of my clients have about 5 Office Computers, 1 mobile Computer and 1 Cell Phone. I will use this as a model. If you have more or less, just adapt this model to your long term budget plan. I tell my clients to purchase one computer a year. This allows the most up-to-date hardware and software with at least one computer, just in case, you need to have the most recent OS (or Hardware) for something to work, in your work environment. This means, your computer will be replaced every 5 years, as appropriate, with its longevity. This also allows only one computer to be down during office hours as your technician installs the new system. The best part is, you are only spending $400 – $600 a year on hardware. With this savings your can allocated UP TO double what you spend on the new machines for software updates or websites upgrades. 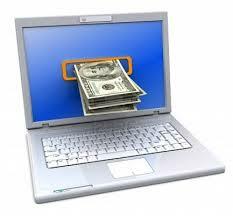 This dispersal of your technology cost will keep you focused on maintaining all aspect of technology and your business. Murphy’s Law: If you pay for all the computers to be replaced at once, you will always find yourself doing this during the most inconvenient year to be spending $5000. * If you have 7 computers do two computers your first year, then 1 the following year. Do 2 more on your third year cycle. 1 on your fourth; 1 on your fifth. **If you have more than 5 10 computers then 2 computers should be replaced every year. Do not forget to budget in software and web content. The tools your business uses to function need upgrading every few years (ie. Microsoft Office, proprietary software). If upgrading is not needed, shift that money towards finding new software/services that will help streamline your business. Also, do not be loyal to your purchase. After 3 years, all proprietary software you use will have competitors. You might find a cheaper, faster, more efficient software to use. Faster, efficient, and cheaper is the name of the game. Your website must be updated every year. Your internal plugins, merchant connection, and your content need to be addressed every year. Your website is your business’s first impression. Failing to maintain it WILL cost you clients, cause errors within the site, and complications with communicating on new devices (or the next big gadget). Updating your content on your website is especially important for your Google rating. If you are not blogging, you should change your body content of your website every month. Add a sentence, rewrite a paragraph, upload pictures of your workers or workplace; anything. Google loves it when you fiddle with your website and populate it with content. By pre-planning your 5 year budget, your business will thrive by having access to new technology every year. If you use my plan, you will NOT break your wallet all at once while falling behind on new innovations.